Techbytes | Learn tools, tips, and strategies for working with and exploring new software and technologies with the UMass IT User Services Consultants. My Phone’s Battery Drains Too Fast! Let’s Fix That. Everything your phone does requires what’s called a process. A process is all the calculations and tasks the phone has to do in the background so that you can enjoy it the way it was meant to be used. Processes can build up quickly, especially if you’re like me, and you have a lot of apps on your phone that you switch between. For instance, your phone is making sure you can receive calls; there’s a process for that. It is checking that the screen is at the correct brightness; there’s a process for that. It is looking out for new text messages or SnapChats or Facebook notifications or Instagram updates. They all require processes and they’re all running even when you lock the screen. This is one of the easiest ways to increase battery life. Your phone came to you with all sorts of features that, on the surface, are fun to use and make your experience better. However, they all require processes that will eat away at your battery life. Fancy settings include but are not limited to: Bluetooth, location services, auto-rotate, auto-brightness, NFC, Hey Siri/Ok Google, Gestures. I know, I know, you want to be able to see your screen in its most amazing clarity. But that requires power, unfortunately. Setting the screen to a low brightness when it’s dark in your surroundings will help you conserve power. The screen is the one of the most power-draining parts of the phone because of the energy required to light it up. If you can handle a dimly lit display, you’ll really reduce battery consumption. 3. Close apps not in use. The apps you open throughout the day have an impact on battery life after you’re done using them. Try to remember to close all the apps frequently. 4. Uninstall apps you don’t use. Some apps have 24/7 processes to check for notifications. SnapChat and Facebook are examples of these. If you have other apps like them that you simply don’t use anymore, uninstall them to make sure they aren’t draining power unnecessarily. 5. Keep a battery bank with you. If all else fails, having a battery bank with you will allow you to charge your device on the go. This entry was posted in Operating System on April 3, 2019 by Steve. Are you beginning to type in a foreign language? Do you often find yourself copy-and-pasting special characters like é and wish there was an easy shortcut? Thankfully, Windows 10 allows users to easily add and switch between different languages without having to buy a separate physical keyboard. Personally, I often use the French and Japanese keyboards on my laptop. The French keyboard allows me to quickly enter letters with diacritics (à, ê, ï, etc.). The Japanese keyboard automatically translates Latin characters into hiragana (おはよう), katakana (サム), or kanji (日本). 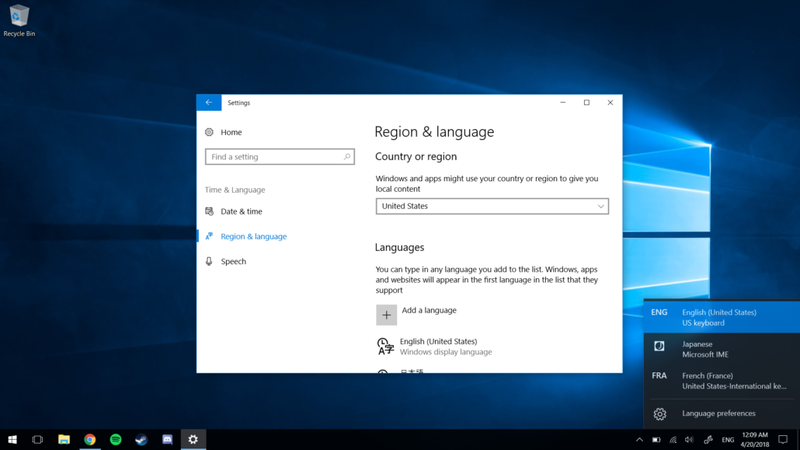 The following instructions will help you add new languages to Windows 10. Navigate to Windows Settings by clicking on the gear on the left side of the Start Menu. Click on “Time & Language”, then click on “Region & language” in the left sidebar. Under “Languages”, click “Add a language”. Find the language that you would like to add. After clicking on it, you may be asked to specify a regional dialect. You will be returned to the “Region & language” page. Once you have followed these steps, a new icon will appear next to the date and time on the bottom-right of your screen. Most likely, it will say “ENG” for English, the current keyboard language. Click on this icon to open a window listing the currently added languages. From here, you can select a language to change your keyboard’s settings. You may also hold down the Windows ⊞ key and press Space to quickly change languages. By default, some languages use a different keyboard layout than the QWERTY layout used for US English keyboards. Once you have switched to the new language, test it out by typing in Word, Notepad, or any other program that allows you to enter text. If the keys you type do not match the letters on the screen, the following instructions can help you fix this issue. On the “Region & language” page, under “Languages”, click the language you just added, then click “Options”. Scroll down to “Keyboards”, then click “Add a keyboard”. Scroll down to “United States-International” and click on it. This keyboard follows the QWERTY layout, but also supports some special characters in other languages. Under “Keyboards”, click the other keyboard, then click “Remove”. Congratulations! You have now added another language’s keyboard to your computer. Feel free to add as many additional languages as you would like. Acute accent (é) – Type an apostrophe (‘), followed by a letter. Grave accent (à) – Type a grave accent (`), followed by a letter. Diaeresis (ü) – Type a double quote (“) by pressing Shift + ‘, followed by a letter. Circumflex (î) – Type a circumflex/caret (^) by pressing Shift + 6, followed by a letter. Tilde (ñ) – Type a tilde (~) by pressing Shift + `, followed by a letter. This entry was posted in Windows on March 20, 2019 by Sam Dziewietin. 3D printing comes in more forms than you may realize. In a previous article we focused on FDM (Fused Deposition Modeling) 3D printing, the most common and popular form of 3D printing. I’d like to introduce you to a more complex and precise method of 3D printing which is also consumer available. Let’s talk about Stereolithography and Digital Light Processing 3D printing. The basics of both processes is that a photosensitive resin is selectively hardened and adhered to a gradually moving platform. Let’s break that down a bit, shall we? Like FDM printing, SLA and DLP printing work on the premise of building up layer after layer of material in order to create an object. Unlike FDM printing, which takes solid plastic, melts it into a liquid, then cools it back into a solid, SLA and DLP printing turn a liquid resin into a solid using light. Both SLA and DLP printing use some form of light to harden their photo sensitive resin. SLA uses a laser to draw out each layer, in a sort of winding path. DLP exposes an entire layer of a model to the light at one time using a specialized projector. 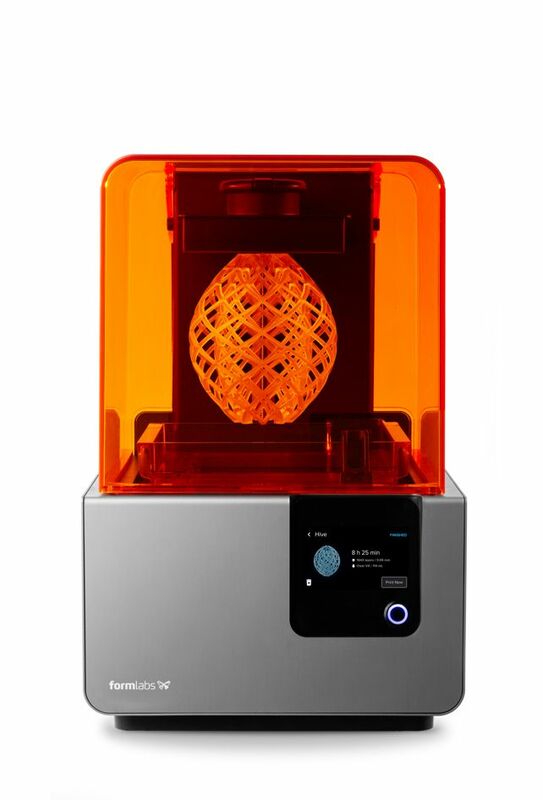 If you are interested in looking at more the intricacies of the two processes, I suggest looking at this article from Formlabs. Let’s talk materials. Whereas FDM printing can print in a variety of plastics and hybrid filaments, SLA and DLP printers are far more limited. 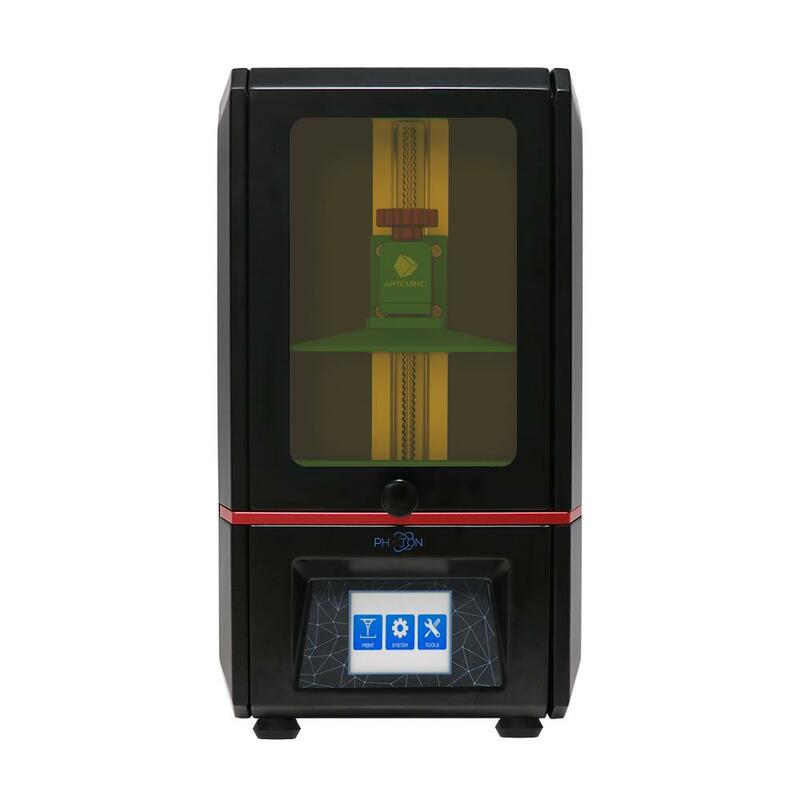 The resins used in SLA and DLP can be had in many generic colors, and in a few different transparencies, but “exotic” resins akin to metal/wood hybrid FDM filaments have yet to become available. How about print area? Most consumer available SLA/DLP printers print areas are noticeably smaller than their FDM counter parts. In general, hobbyist FDM printers (sub $1000 range) have print areas from 4”x4”x4” to 8”x8”x8”. Most consumer available resin printers have print areas in the ballpark of 4”x4”x4” to 6”x6”x6”. Note, these measurements are by no means exact. Resin printers often have the interesting quality of having rectangular print areas (opposed to more common square print areas). If you want to print anything massive, stick to FDM, your sanity and wallet will thank you later. You don’t need the amount of detail that resin printing offers on something larger than a softball. Which is why resin printing is used mostly for very intricate operations. Another component to resin printing is the higher cost compared to FDM. Though FDM and resin printing is already like comparing apples to oranges, let’s do our best to not throw and bananas into the mix. For this comparison lets focus on the costs associated with using generic resins and generic PLA filament. A 1kg spool of generic PLA plastic for FDM printing can be had for ~$20. SLA/DLP resins commonly come in 500g bottles, the prices vary a bit, but you can expect to spend ~$50 per 500g bottle. In both cases, buying in bulk can save money, whereas fancy colors/effects bump up the price (these numbers are derived from a quick search of Amazon for both products, a greater study about the costs of different printing types can be found at this link by All3DP). But how far does this material get you? This question is hard to answer, as changing the smallest print setting can drastically affect the amount of material used for a print. Infill percentage, infill type, types of external support structure, wall thickness, these are just a few settings which can affect the amount of materials used. The point being, resin printing is generally slower, prints smaller things, and is more expensive compared to FDM printing. So why would you ever use a printer which is slower, less versatile, more expensive to own and use? The most significant pro for resin printing is the resolution at which it can print. If you recall from my previous article, it was mentioned that in general, FDM printers are capable of .1mm or 100-micron printing. Meaning that they can produce layers which are 100 microns thick, the thinner the layers the more layers are required, which means more time, but also means more detail. Where an average FDM printer can print 100-micron layers, and an expensive FDM printer can print ~50-micron layers, whereas resin printers can print ~25-micron layers. This means that you can get more detail into your print where it counts. Why might you need this extra level of detail you ask? There are several applications/use cases where you might want/need this high level of detail. One of these applications is for tabletop game figurines/pieces. If you find yourself engaging in a game of DnD for example. Players can design their characters and have accurate physical representations of them for playing the game. Though you can print these models with an FDM printer, their details may not be accurately recreated due to inaccuracies and limitations of FDM printing, and due to the scale of the figures desired. Another high detail application is the creation of jewelry. When a high level of dimensional accuracy is key, especially on a small scale, resin printing is appropriate. Whether you are printing a piece which will be used in the casting of jewelry (in which case metal will replace the plastic and the form will be an exact copy), or as an example of the final product, you want that piece to be an accurate representation of the final product. This same mentality can be applied to the prototyping of small mechanical devices where the dimensions of parts must be exact. A third example for high detail resin printing is for medical applications. The most common application for this type of 3D printing in the medical field is to make dental aligners, those plastic retainer devices. Each patients mouth is different, meaning that their teeth are in different positions and in need of different levels of correction. A scan or mold (which can then be scanned) can be made of the patients mouth which can then be made into an alignment device, which is custom printed for the client. This article by CNN details how a college student did just this, saving himself tons of money. So, resin printing is not only more expensive, and has a more limited niche of uses, but it has another significant factor to consider. Where FDM printing requires that you remove the scaffolding (support material which allows overhangs to be printed), resin printing requires this step and more to finalize a print. Most resins require that you clean the print gently with isopropyl alcohol. Once you’ve done this, you still have another step. Most resins also require that you cure them with UV light before they are ready to use/display. Hobbyists have done this by setting their prints outside or by a window on a sunny day. Others have used UV lamp devices (commonly used to set manicure products) to accomplish the same thing. High end products do exist which are effectively a large version of one of those UV nail polish curing stations, but they allow for the speedy curing of larger prints. So, is resin printing for you? That I can’t really say, but hopefully this information has helped you decide if ponying up the extra cash for a resin printer and its accompanying tools is worth it for you. If high levels of detail are your goal, and you don’t mind the smelly resins and cleaning solutions and the accompanying price tag, maybe pick one up and give it a try. This entry was posted in Operating System on March 13, 2019 by tpicking. What is Decentralization On The Web and Why Does It Matter? These days, there are a few large technology companies that handle most of the web’s information. Amazon, Google, Facebook, and others have ownership over the lion’s share of our data. Many of these companies have been in hot water recently over data privacy violations for misusing the vast amounts of data they have on their customers. Furthermore, these companies’ business models depend on gathering as much data as possible to sell ads against. Many years ago, the web was much less centralized around these huge companies. For instance, before Gmail it was much more common to host your own email or use a much smaller service. You had much more control over your own service. Today, your data isn’t in your hands, it’s in Google or Facebooks. Furthermore, they can kick you off your platform for a number of reasons without any warning. Additionally, there are political reasons for not wanting all of your information in these centralized silos. Being a part of these platforms means that you must conform with their rules and guidelines, no matter how much you don’t like them. Decentralized systems fix this by giving you control over your information. Instead of one centralized company with one running copy of the service, decentralized services work a lot like email. Anyone can run their own email server and have control over their own information. This has been true about email since it was formed. But for social networks and other sites, this kind of distributed model is now becoming an option as well. 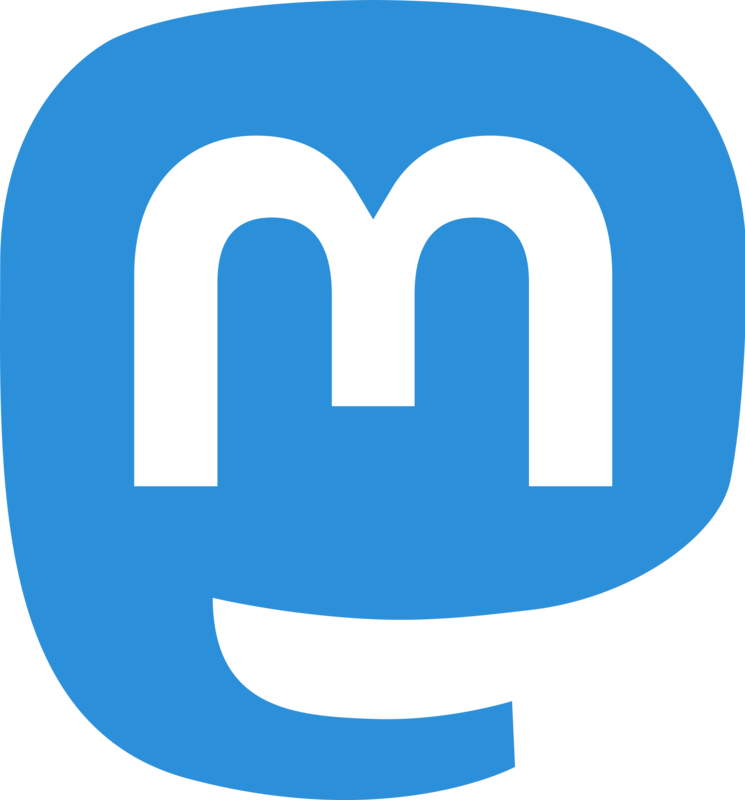 Mastodon is a twitter-like social network based on federation and decentralization. Federation means that individual versions of the service run by different people can talk to one another. This means that I can follow someone with an account on Mastodon.com from my account at Mastodon.xyz. This works very similarly to how email works: you can email anyone from your gmail account, not just other gmail accounts. Federation means that I can run my own server with my own rules if I wanted to. I can choose to allow certain content or people and know that my data is in my control. Many people are starting to call decentralized technology “Web 3.0”. While Web 2.0 saw people using the internet for more and more things, this came at the cost of consolidation and large companies taking over much of the control of the web. With decentralization and federation, the web can once again be for the people, and not only for large companies. This entry was posted in Operating System on March 6, 2019 by sschmitt. One of the nice advantages of using Linux is the wealth of customization options available. A key area of that customization are app icons. For those unfamiliar, it is similar to how icons change across Android versions, even though the apps themselves are often the same. Now I could go over how to install icons packs, however there are countless sites who already explain the process very well, such as Tips on Ubuntu. As for obtaining icon packs, a great site is OpenDesktop.org, which among other things hosts a wide variety of free to use icon packs. So, now onto something less commonly covered, patching icon sets (no coding or art skills required). First a little background, if you use one of the more popular icon packs, you’ll likely have no issues. However many of the smaller icon packs either only support certain distros or lack icons for lesser known programs. Take for example my all time favorite icon pack, Oranchelo, it is geared mainly towards Ubuntu. Lately I’ve been using Fedora 28 and while some icons work liked they’re supposed to, others, which work in Ubuntu, do not. So why is that? Each program has an icon name, and while many programs keep a consistent icon name across distros, this is not always the case, such as with some of the default Gnome apps in Fedora vs Ubuntu. To fix this we need to either change the app’s icon name or create symbolic links to the current icon name, the latter generally being the better option. Here you will see (using the ls command) a bunch of .desktop files, these are config files that set how a program will be shown on the desktop, such as what will it be called under English or under Polish, as well as what the icon should be. Now that we know what the icon is called (“icecat”, icon names aren’t always this simple), we needed to open up our installed icon pack, if you’re not sure where that is, look back on the install instructions you used for your pack and just find where you placed said pack. 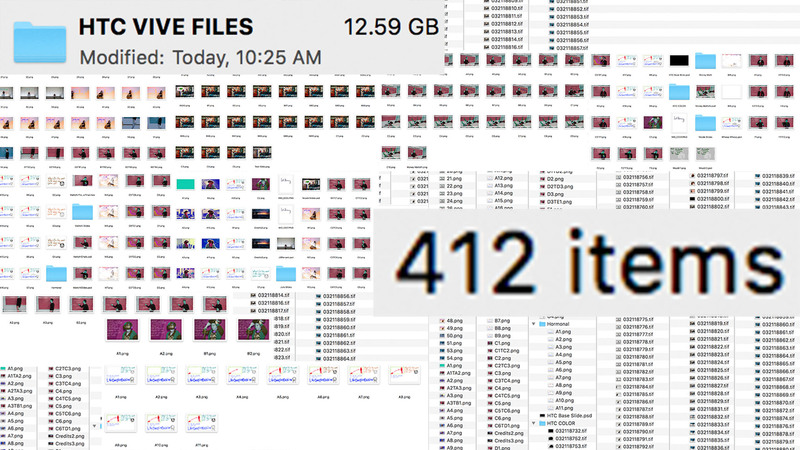 I generally prefer to look at the icons in a graphical file manager, so that I can make sure I pick the right one. So now that we’re in the file, we want to go into apps, then scalable. Here we have all our icons, once we found one that we like, we need to create a symbolic link. 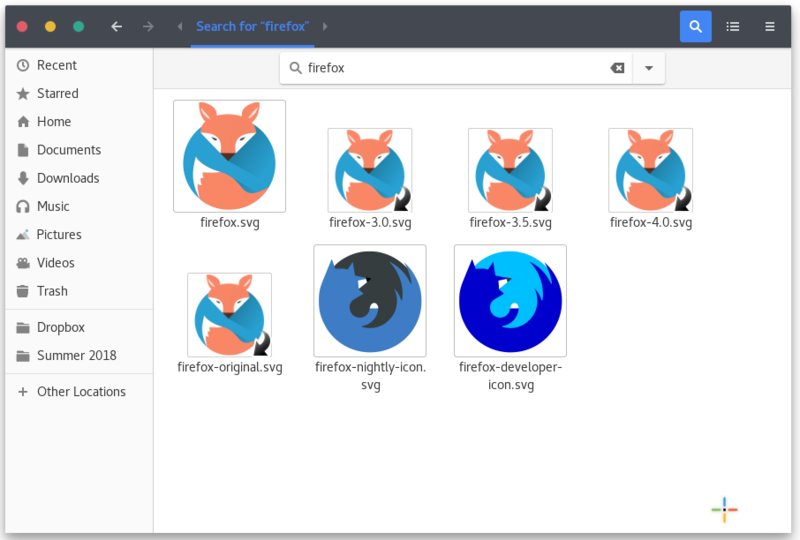 Since Oranchelo doesn’t currently have an Icecat logo, I will use the firefox nightly icon. Now all we need to do is toggle the icons, simply switch to the system default icon set and then switch back and the correct icons will show. However this is not the only way to patch icon sets, some icon sets are designed to only replace a small amount of icons, such as folders. These often use inheritance to fill the void, however you may not always like the set from which they inherit the remainder, or you may simply prefer if it inherited from a different set. 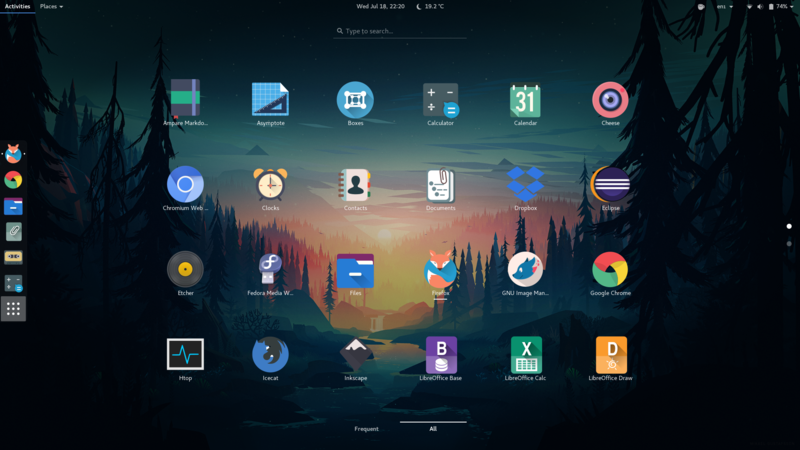 One of my favorite Gnome themes, Canta, comes with its own icon pack that replaces folders but inherits the rest from Numix icon pack, but since I haven’t installed Numix, it defaults to the system default. However, I have the Flat Remix pack installed, I’ll make it instead inherit from that. As before, we need to go into the icon pack folder. Once we’re in the canta icon pack, we need to open up the index.theme file with a text editor (as before, depending on where it is installed, you may or may not need sudo). Once you save the file, all the missing icons should be automatically inherited from Flat Remix. Best of luck with all your Linux customization. This entry was posted in Linux and tagged arch, Budge, Cinnamon, commands, Customization, Fedora, Gnome, Icon, Icons, Inhertance, KDE, linux, LinuxMint, Mate, Patching, Ubuntu, Unity on February 27, 2019 by jpolanowski. You might be wondering: does anyone love anything as much as I love MatLab? I get it, another MatLab article… Well, this one is pretty cool. Handling media files in MatLab is, not only extremely useful, but is also rewarding. To the programming enthusiast, it can be hard to learn about data structures and search algorithms and have only the facilities to apply this knowledge to text documents and large arrays of numbers. Learning about how to handle media files allows to you see how computation effects pictures, and hear how it effects music. Paired with some of the knowledge for my last two articles, one can begin to see how a variety of media-processing tools can be created using MatLab. Audio is, perhaps, the simplest place to start. 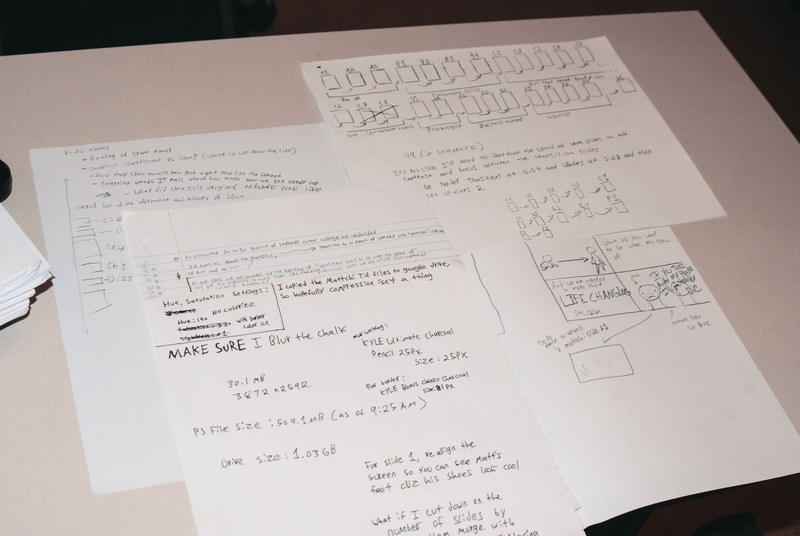 MathWorks provides two built-in functions for handling audio: audioread() & audiowrite(). As the names may suggest, audioread can read-in an audio file from your machine and turn it into a matrix; audiowrite can take a matrix and write it to your computer as a new audio file. Both functions can tolerate most conventional audio file formats (WAV, FLAC, M4A, etc…); however, there is an asymmetry between the two function in that, while audioread can read-in MP3 files, audiowrite cannot write MP3 files. Still, there are a number of good, free MP3 encoders out there that can turn your WAV or FLAC file into an MP3 after you’ve created it. So let’s get into some details… audioread has only one input argument (actually, it can be used with more than one, but for our purposed, you only have to use one), the filename. Please note, filename here means the directory too (:C\TheDirectory\TheFile.wav). If you want to select the file off your computer, you could use uigetfile for this. The audioread function has two output arguments: the matrix of samples from the audio file & the sample rate. I would encourage the reader to save both since the sample rate will prove to be important in basically every useful process you could perform on the audio. Sample values in the audio matrix are represented by doubles and are normalized (the maximum value is 1). Once you have the audio file read-in to MatLab, you can do a whole host of things to it. MatLab has in-built filtering and other digital signal processing tools that you can use to modify the audio. You can also make plots of the audio magnitude as well as it’s frequency contents using the fft() function. The plot shown below is of the frequency content of All Star by Smashmouth. Once you’re finished processing the audio, you can write it back to a file on your computer. This is done using the audiowrite() function. The input arguments to audiowrite are the filename, audio matrix in Matlab, and sample rate. Once again, the filename should also include the directory you want to save in. This time, the filename should also include the file extension (.wav, .ogg, .flac, .m4a, .mp4). With only this information, MatLab will produce a usable audio file that can then be played through any of your standard media players. The audiowrite function also allows for some more parameters to be specified when creating your audiofile. Name-argument pairs can be sent as arguments to the function (after the filename, matrix, and sample-rate) and can be used to set a number of different parameters. For example, ‘BitsPerSample’ allows you to specify the bit-depth of the output file (the default is 16 bits, the standard for audio CDs). ‘BitRate’ allows you to specify the amount of compression if you’re creating an .m4a or .mp4 file. You can also use these arguments to put in song titles and artist names for use with software like iTunes. Yes, MatLab can also do pictures. There are two functions associated with handling images: imread() and imwrite(). I think you can surmise from the names of these two function which one reads-in images and which one writes them out. With images, samples exist in space rather than in time so there is no sample-rate to worry about. Images still do have a bit-depth and, in my own experience, it tends to differ a lot more from image-to-image than it does for audio files. When you import an image into MatLab, the image is represented by a three-dimensional matrix. 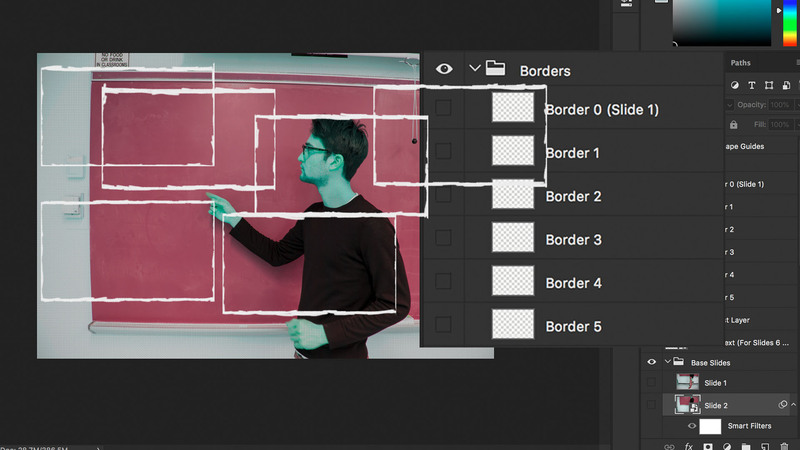 For each color channel (red, green, and blue), there is a two-dimensional matrix with the same vertical and horizontal resolution as your photo. When you display the image, the three channels are summed together to produce a full-color image. By the way, if you want to display an image in MatLab, use the image() function. MathWorks provides a good deal of image-processing features built-into MatLab so if you are interested in doing some crazy stuff to your pictures, you’re covered! 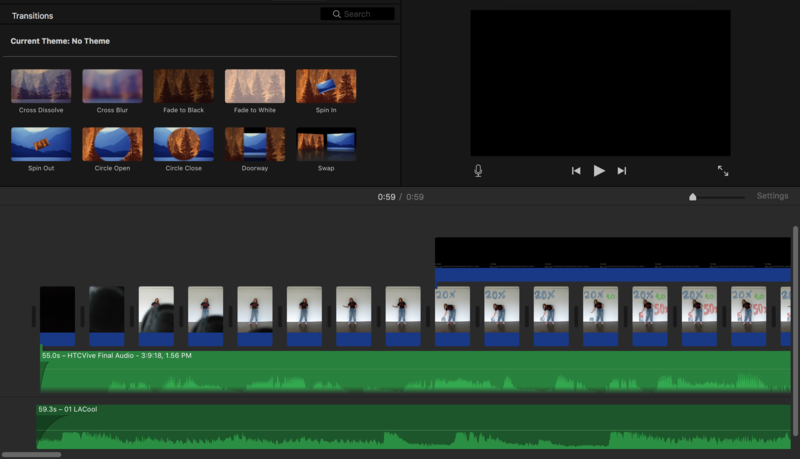 This entry was posted in Operating System on February 20, 2019 by Noah Sheridan. The idea of powering devices wirelessly has been around for centuries, ever since Nikola Tesla built the Tesla tower that could light up lamps about 2 km away based on electromagnetic induction. Wireless Charging devices can be traced back to electric toothbrushes that used a relatively primitive form of inductive charging, decades before Nokia announced Integrated Inductive charging in its break-though Lumia 920 model in 2012. This marked the birth of the Qi standard which at that time was still contending for the much coveted universal/international standard spot. 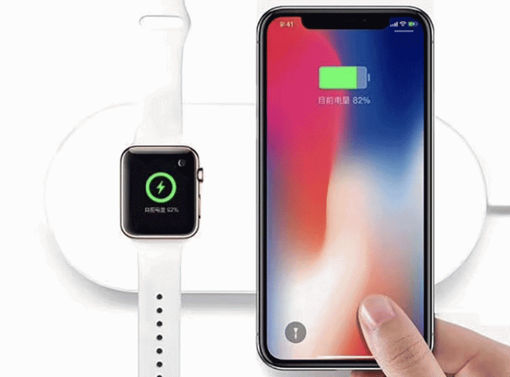 Although now it seems like wireless charging is right around the corner; and with Apple and Google launching Qi compatible phones, the message is clear and simple. ‘Wireless is the future and future is here.’ Or is it ? Qi (Mandarin for ‘material energy’ or ‘inner strength’) is a near-field energy transfer technology that works on the principle of electromagnetic induction. 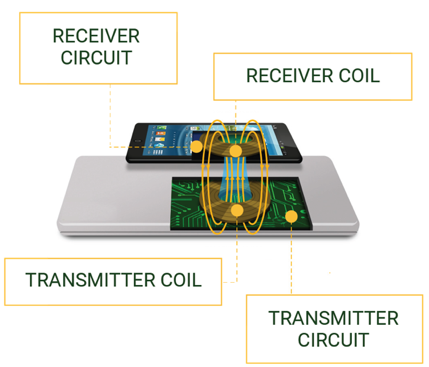 Simply put, the base station (charging matt, pad or dock) has a transmitting coil, which (when connected to an active power source) induces a current into the receiver coil in the phone, which in turn charges the battery. In its early stages, Qi used ‘guided positioning’ which required the device to be placed in a certain alignment on the base station. With some rapid developments over the time, this has been effectively replaced by the ‘free positioning’, which is standard in almost all the recent Qi charging devices. There’s a catch here- the devices must have a transmittable back surface. Glass is currently the most viable option and most Qi compatible smartphones have glass backs. This certainly has its implications though, the obvious one being significantly reduced durability. Over the past decade, people have come up with interesting solutions for this, including a charging phone case and even a battery-less phone powered by ambient radio waves and wifi signals. But the most promising option is the pi charging startup which hopes to fix the range issue, by allowing devices to pair with a charging pad within the range of a foot in any direction. 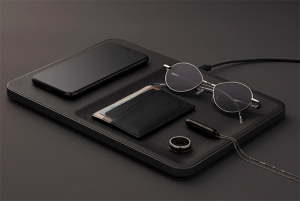 The concept is still in its experimental stages and it’s going to be a while before the mid-long range wireless charging technology becomes pervasive standard for smartphones and other IoT devices. Assuming, further progress is made down that road, wireless charging hotspots could be a possibility in the not-very-distant future. Qi standard despite all its shortcomings has had considerable success in the market and it looks like it’s here to stay for the next few years. A green light by both Apple and Google has given it the necessary boost towards being profitable and wireless pads are gradually finding their way into Cafes, Libraries, Restaurants, Airports etc. Furniture retailers such as Ikea have even started manufacturing wireless charging desks and tables with inductive pads/surfaces built in. 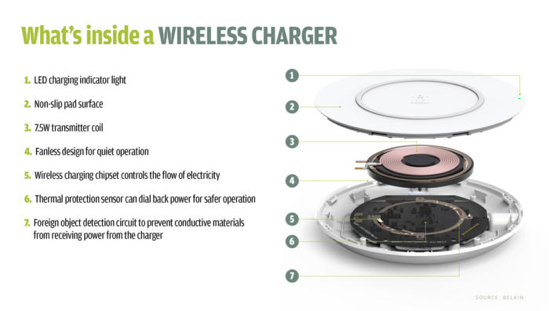 However, switching completely to, and relying solely on inductive wireless charging wouldn’t be the most practical option as of now unless upgrades are made to it, keeping all the major concerns surrounding it in sights. Going fully wireless would mean remodelling the very foundations of conventional means of transmitting electricity. In short, the current Qi standard is not the endgame and it can be seen as more of a stepping stone towards mid-long range charging hotspots. This entry was posted in Hardware on February 13, 2019 by rukulkarni. Unless you live under a rock, the chances are that you’ve come across Tesla technology in your daily life. From their very successful car line consisting of some of the sleekest, fastest, most efficient electric cars on the market, or even their ventures in making renewable rocketry in SpaceX, Tesla is making a name for itself in revolutionizing technology for the next era. But one of their ventures has for the most part flied under the radar, despite its huge advantages. That’s right, I’m talking about Tesla Solar. Formerly a separate entity under the title SolarCity, Tesla purchased the company and made it one of its premier subsidiaries of Tesla Energy in 2016. The mission of Tesla Energy is to bring the power of solar energy into control of the consumer, whether it be a residential or commercial premises. This is a more cost and space effective means of solar energy that doesn’t transform massive amount of space or forests into giant solar farms. This not only gives people control over their energy production and costs, but can also be beneficial to consumers through energy grid buyback, where the grid pays you for excess energy. But enough about the company; lets talk about the technology behind it. Tesla Energy’s Solar Panels are thin and sleek, allowing them to seamlessly fit in to any roofing style or shape. None of the mounting hardware is visible, allowing the panels to blend into the roof almost as if they were never there. In fact, Tesla Energy takes it another step further, through their Solar Roof. This is a complete roofing unit that takes the technology of solar panels into interlocking shingles, allowing your entire roof to capture energy from solar rays and power your home. If you thought the slim, sleek design of their panels was impressive, Tesla Energy’s Solar Roof takes it to another level. 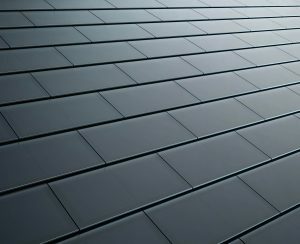 While most would worry about these energy shingles getting damaged, Tesla prides itself with being much stronger than most other roof tile alternatives. You might be thinking, “Capturing all of this energy is cool and all, but how does it all get stored?” Well, Tesla has that covered. Their own technology, Powerwall, seamlessly connects to your Solar inputs and hooks up to the electrical system in your home or business. Not only does this guarantee that you can use your own power you produce, but allows you to have uninterrupted power even when there’s a grid outage, leaving your life uninterrupted and those Christmas lights in your front yard up and running. According to Tesla, Powerwall can leave you with up to 7+ days of power during an outage. If you happen to own a Walmart or large retail store, the capabilities of Powerwall can be expanded into Tesla Energy’s commercial units, where micro-grids and Powerwalls can be built for your commercial needs. The future of residential and off-the-grid living is here. Through Tesla Energy, people can independently and reliably power their homes and businesses completely grid free. While the costs may be expensive right now, increased competition in the sector can lead to a bigger market, which will lower costs as Tesla is able to push this out to more consumers. Even with Tesla being known widely as the electric car company, the company is making strides in the renewable energy sector which stemmed off of its work in revolutionizing the electric car battery. The future is bright for renewable energy, and the future is even brighter for Tesla. All images used in this blog were obtained from tesla.com, all rights reserved. This entry was posted in Hardware and tagged batteries, electricity, energy, renewable energy, residential, solar, solar energy, technology, tesla, the future on November 30, 2018 by TC. 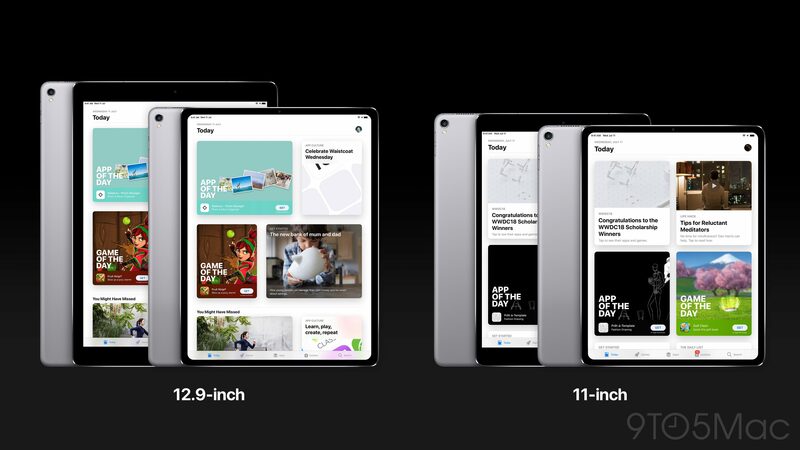 The headline product that is rumored to be announced will be an update to the iPad Pro line. The line, which is made up of two models, is rumored to gain many of the features from the iPhone X line of phones. This includes smaller bezels and FaceID to replace the fingerprint reader. 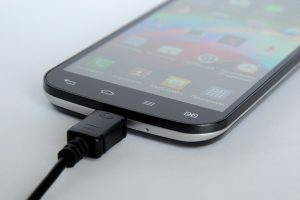 The devices are also said to switch over from their proprietary Lightning connector in favor of the more standard USB-C. This will also allow the iPad to connect to external display and other accessories much more easily. The iPad and the iPhone are some of the only devices in the industry that haven’t switched over to USB-C. This transition will help the industry converge on a single port type. There are also rumored to be new Mac’s at this event. The Mac mini hasn’t been updated in over 4 years and is overly due for a refresh. The new minis are rumored to be smaller and more aimed at the pro market. This makes sense given the overall theme of the event. Apple is also rumored to be introducing a new low end Mac laptop at around the $1000 price point. This will replace the aging MacBook Air that Apple is still selling. This is by far Apple’s highest volume price range, so it’s important to have a modern, compelling option. Is there anything else that Apple will announce next week? What are your predictions? This entry was posted in Operating System on October 23, 2018 by sschmitt. Self-driving cars promise to revolutionize driving by removing human error from the equation altogether. No more drunk or tired driving, great reductions in traffic, and even the possibility of being productive on the commute to work. But what are the consequences of relying on algorithms and hardware to accomplish this vision? Software can be hacked or tricked, electrical components can be damaged. 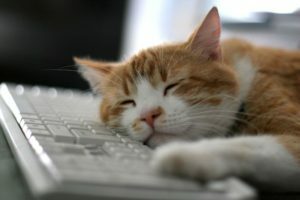 Can we really argue that it is safer to relinquish control to a computer than to operate a motor vehicle ourselves? Ultimately, this question cannot be answered with confidence until we conduct far more testing. Data analysis is key to understanding how these vehicles will perform and specifically how they will anticipate and react to the kind of human error which they exist to eliminate. But “the verdict isn’t out yet” is hardly a satisfying answer, and for this reason I would argue that despite concerns about ‘fooling’ self-driving cars, this technology is safer than human drivers. The article “Slight Street Sign Modifications Can Completely Fool Machine Learning Algorithms” details how researchers have tricked computer vision algorithm to misinterpret street signs. Researchers were able to achieve these results by training their classifier program with public road sign data, and then adding new entries of a modified street sign with their own classifiers. Essentially, the computer is “taught” how to analyze a specific image and, after numerous trial runs, will eventually be able to recognize recurring elements in specific street signs and match them with a specific designation / classifier. The article mainly serves to explore how these machines could be manipulated, but only briefly touches upon a key safety feature which would prevent real-world trickery. 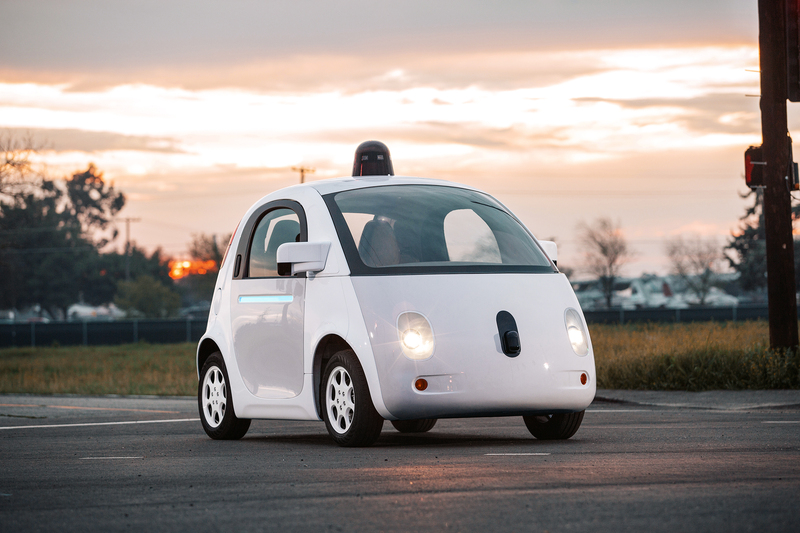 Notably, redundancy is key in any self-driving car. Using GPS locations of signs and data from past users could ensure that signs are not incorrectly classified by the computer vision algorithm. The article “The Long, Winding Road for Driverless Cars” focuses less on the safety ramifications of self-driving vehicles, and instead on how practical it is that we will see fully autonomous cars in the near future. The author touches upon the idea that selling current vehicles (such as Tesla) with self-driving abilities as “autopilot” might be misleading, as these current solutions still require a human to be attentive behind the wheel. She presents the hurdle that in order to replace human drivers, self-driving vehicles cannot just be “better” than human drivers but near perfect. While these are all valid concerns, they will only result in benefits for consumers. Mistrust in new tech means that companies and regulatory authorities will go through rigorous trials to ensure that these vehicles are ready for the road and maintain consumer confidence. We have already accepted many aspects of car automation (stopping when an object is detected, hands-free parallel parking, and lane-detection) to make our lives easier, and perhaps some time in the near future self-driving cars will be fully tested and ready for mass deployment. This entry was posted in Operating System on October 16, 2018 by srendano. I thought this was funny when I first saw this message from Github, a website that has over 28 million users and 57 million repositories. I knew I was receiving this message because I used a very similar password for my IBM intern account and my personal account. Well turns out this isn’t true. 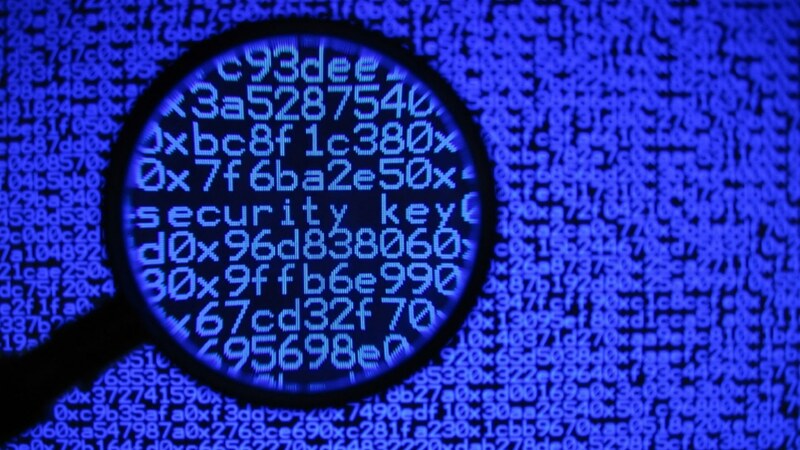 In fact, they use fairly secure Key-Derivation Function (KDF) software called Bcrypt. For obvious reasons, this is scary. 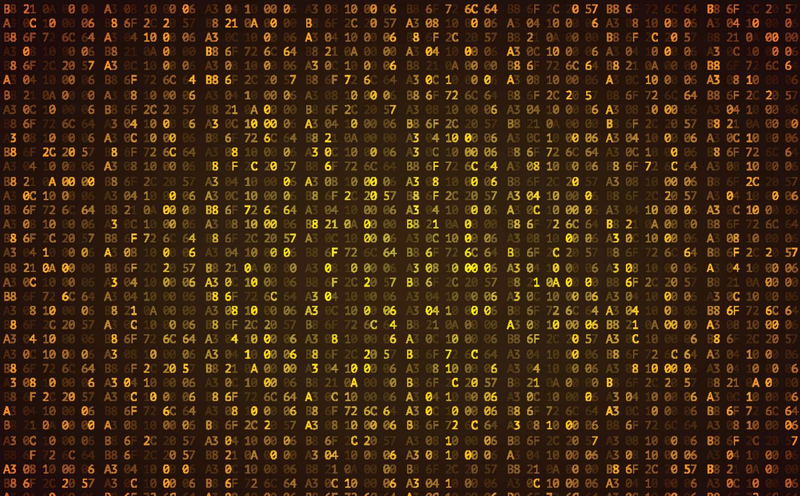 The responsible practices for password storage are, well, complicated. It’s a combination of hashing or the more secure Key-Derivation Function, both of which basically scrambles up the user’s password so that not just anyone can decode it, and a careful implementation of where . If a company isn’t using proper security for user data, there’s an increased risk of getting hacked. And realistically, if someone managed to snag the password to your Github account, they’d likely be able to get into at least a few of your other accounts as well. If you want to learn about this more in depth, you can read this interesting thread. This entry was posted in Operating System, Security on October 2, 2018 by minabruso. Researchers at MIT’s Computer Science and Artificial Intelligence department have created a Soft Robotic Fish (nicknamed SoFi) which is able to swim and blend in with real fish while observing and gathering data from them. This remarkable bot is not only cool and adorable, but it also paves the way for the future of lifelike Artificial Intelligence. Think about it: We have already reached the point where we can create a robotic fish which is capable of fooling real fish into thinking that it’s a real fish. Granted, fish aren’t the smartest of the creatures on this planet, but they can usually tell when something is out of the ordinary and quickly swim away. SoFi, however, seems to be accepted as one of their own. How long will it take for us to create a robot that can fool more intelligent species? Specifically, how long will it be until Soft Robotic Humans are roaming the streets as if they weren’t born yesterday? Perhaps more importantly, is this something that we actually want? The benefits of a robotic animal like SoFi are obvious: It allows us to get up close and personal with these foreign species and learn more about them. This benefit of course translates to other wild animals like birds, bees, lions, etc. We humans cant swim with the fishes, roost with the birds, visit the hive with the bees or roar with the lions, but a robot like SoFi sure can. So it makes sense to invest in this type of technology for research purposes. But when it comes to replicating humanity, things get a bit trickier. I’m pretty confident in saying that most humans in this world would not appreciate being secretly observed in their daily lives “for science.” Of course, it’s still hard to say whether or not this would even be possible, but the existence of Sofi and the technology behind it leads me to believe we may be closer than most of us think. Regardless of its possible concerning implications, SoFi is a truly amazing feat of engineering. If nothing else, these Soft Robots will bring an epic evolution to the Nature Documentary genre. For more information about the tech behind SoFi, check out the video at the top from MITCSAIL. 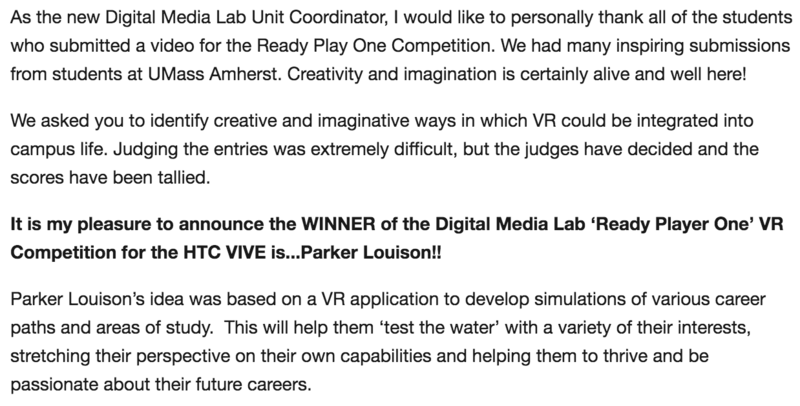 This entry was posted in Operating System on May 7, 2018 by tproulx. Like most other fans of college basketball, I spent an unhealthy amount of time dedicated to the sport the week after Selection Sunday (March 11th). 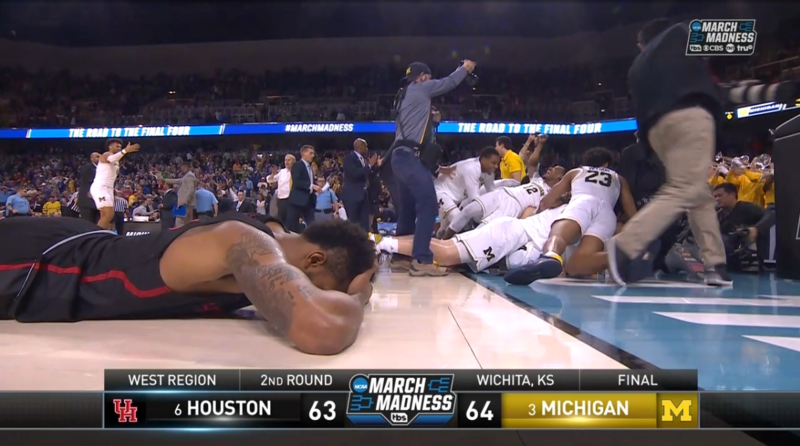 Starting with spending hours filling out brackets, researching rosters, injuries, and FiveThirtyEight’s statistical predictions to fine-tune my perfect bracket, through watching around 30 games over the course of four days. I made it a full six hours into the tournament before my whole bracket busted. The three-punch combo of Buffalo (13) over Arizona (4), Loyola Chicago (11) beating Miami (6), and, most amazingly, the UMBC Retrievers (16) crushing the overall one-seed and tournament favorite, UVA, spelled the end for my predictions. 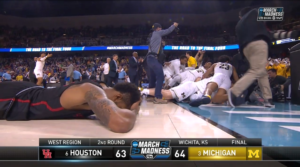 After these three upsets, everyone’s brackets were shattered. The ESPN leaderboards looked like a post-war battlefield. No one was safe. The odds against picking a perfect bracket are astronomical. The probability ranges from 1 in 9.2 quintillion to 1 in 128 billion. Warren Buffet offers $1 million a year for life for Berkshire Hathaway employees who correctly pick a bracket. Needless to say, no one has been able to cash in on the prize. Picking a perfect bracket is nearly impossible, and is (in)famous for being one of the most unlikely statistical probabilities in gambling. 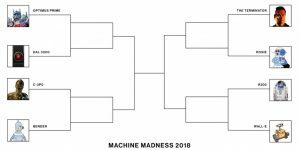 To make the chances of making a perfect bracket somewhat feasible, a competition has been set up to see who can beat the odds with machine learning. Hosted by Kaggle, an online competition platform for modeling and analytics that was purchased by Google’s parent company, Alphabet, the competition has people making models to predict which teams will win each game based on prior data. A model that is correct and predicted it with 99% confidence will score better than one with a 95% confidence and so on. The prize is $100,000, split among the teams that made the top 3 brackets. Teams are provided with the results of every men’s and women’s game in the tournament since 1985, the year that the tournament first started with 64 teams. They are also provided with every play since 2009 in the tournament. Despite all this data, it is still very hard to predict, with the best bracket in this competition, which has been hosted for five years, predicting 39 games correct. Many unquantifiable factors, such as hot streaks and team chemistry, play a large factor in the difficulty in choosing, so it looks like we’re still years off from having our computers picking the perfect bracket. This entry was posted in Operating System on May 4, 2018 by cgorman. Congratulations! You’ve made a virtual box of your favorite linux distro. But now you want to download a picture of your cat and find out that you’ve run out of disk space. Now your .vdi is resized, but the disk space is unallocated in the virtual machine. You’ll need to resize it. To do this, download gparted live. Make a new virtual machine. It is going to simulate a live CD boot where you can modify your virtual partition. If your filesystem is ext4, like mine was when I did this, you’ll need to delete the linux-swap file located in-between your partition and the unallocated space. Make sure you leave at least 4 GB of unallocated space so that you can add the linux-swap partition back later. After you’ve resized your partition, you’ll be done. Boot into the virtual machine as normal and you’ll notice you have more space for Snuffles. This entry was posted in Operating System on April 30, 2018 by Steve. Is Artificial Intelligence like J.A.R.V.I.S. Possible? If you are a fan of Marvel Comics or the Marvel Cinematic Universe, you are likely aware of J.A.R.V.I.S., Tony Stark’s personal artificial intelligence(AI) program. J.A.R.V.I.S. helps Tony Stark reach his full potential as Iron Man by helping run operations and diagnostics on the Iron Man suit, as well as gathering information and running simulations. J.A.R.V.I.S. also has a distinct personality, sometimes displaying sarcasm and wit, no doubt programmed in by Stark. With artificial intelligence and machine learning developing at a breakneck pace, it’s worth asking if an AI like J.A.R.V.I.S. is even possible. As far as hardware is concerned, Watson relies on a cluster of 90 IBM Power 750 servers that each have a 3.5GHz processor, 16 terabytes of RAM. This allows Watson to process the equivalent of one million books per second. The estimated cost of Watson’s hardware was 300 million dollars. When Watson competed on Jeopardy, all of the information Watson had access to had to be stored on the machine’s RAM because it would not have been able to access it within a competitive time frame if it was stored on the machine’s hard drive. 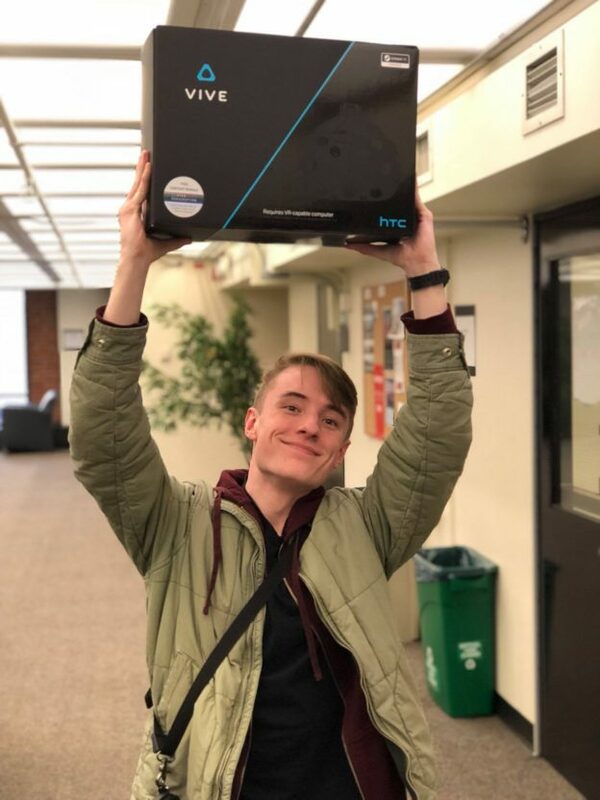 Since Watson’s bout on Jeopardy, solid state drives have started to emerge, which would allow information that is used more often to be accessed at a faster rate than if the same information was stored on a standard hard drive. With further advances in memory storage technology, information could be accessed at faster rates. IBM’s Watson appears to be a step in the direction toward AI similar to J.A.R.V.I.S. With quantum computing as an expanding frontier, processing speeds could become even faster, making something like J.A.R.V.I.S. a more realizable reality. Personally, I believe such a feat is possible, and could even be achieved in our lifetime. This entry was posted in Operating System on April 27, 2018 by bnwhitchurch. People always ask me, “Are Macs better than PCs?” or “What kind of computer should I buy?” so I’m here to clear some confusion and misconceptions about computers and hopefully help you find the computer best suited to your purposes. Computers can generally be separated into two large operating system groups: MacOS and Windows. 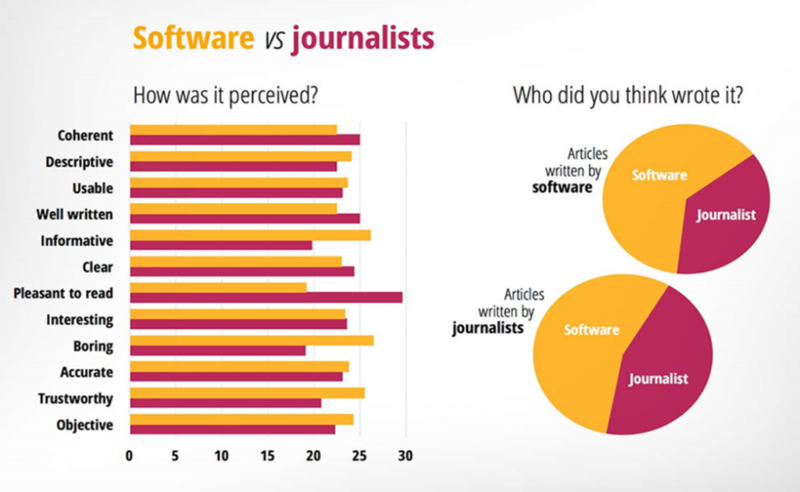 There are Linux and Ubuntu users, but the majority of consumers will never use these operating systems, so I’ll focus on the big two for this article. Computers can also be separated into two physical categories, desktops and laptops. Desktops, as the name suggests, sit on top of (or under) your desk, and are great for a number of reasons. Firstly, they are generally the most cost-efficient. With the ability to custom-build a desktop, you’re able to the best bang for your buck. And even if you choose to buy a prebuilt, the cost differences nowadays between prebuilt and custom builds are small. Desktops also serve as being very powerful machines, with the best performance, as they aren’t constrained to physical size like laptops are. 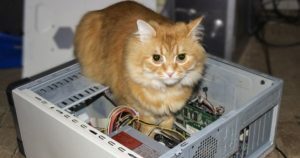 Many laptop parts have to be altered to fit the limited space, but desktops have as much space as the case has to offer. More space within the case means bigger/more powerful parts, better ventilation for cooling, etc. Additionally, desktops are generally more future-proof. If a hard drive runs out of space, you can buy and install another. 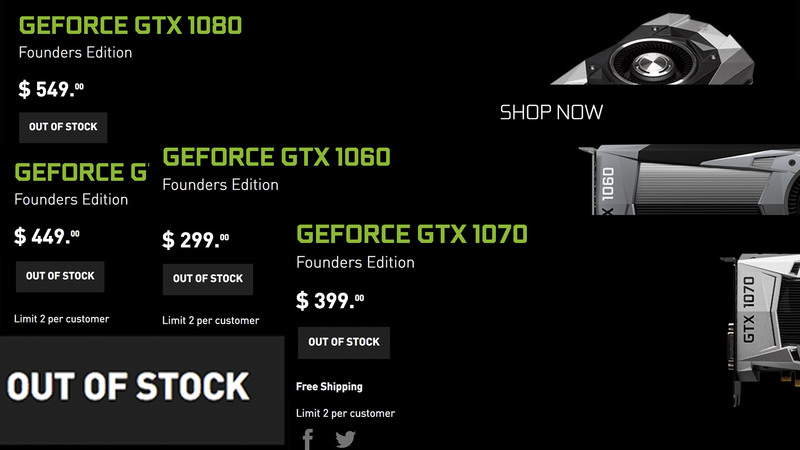 If your graphics card can’t support modern games anymore, you can order one that fits your budget and just replace the old one. Overall, desktops are ideal… as long as you don’t want to move them around a lot. A full setup consisting of a tower, monitor, and peripherals can be very heavy and inconvenient to move around, not including the many cables required to connect everything together. If you are looking for a good machine that will last the years, and don’t need to move it around often, then you might be looking for a desktop. I will go over the details of operating systems further down. If you’re looking for a portable machine, then you’re looking for a laptop. But here too there’s a lot of variety: You have Chromebooks, which are incredibly fast, light, and (importantly) cheap machines that use ChromeOS for very basic functionalities. Unlike other OSes, this one is designed to be used while connected to the internet, with documents and files in the cloud. The applications are limited to the what’s available of the Chrome store. If all you need a laptop to do is use the internet and edit things on Google Drive, then a Chromebook might be perfect for you. Next are your middle-of-the-line to high-end laptops, the majority of laptops. This is where you’ll find your MacBooks, your ultrabooks, the all around laptop for most functionalities. This is what most people will prefer, as they can do the most, and retain portability. There is also a ton of variety within this group. There are touch screens, super-bendable hinges, I/O ports, etc. Here, what it’s going to come down to is personal preference. There too many options to write about, but I encourage everyone to try to assess a number of different computers, before deciding which ones they like the best. Lastly, I’d like to discuss operating system, primarily MacOS and Windows. I did briefly mention ChromeOS, but that’s only really for Chromebooks and it’s a very basic system. With MacOS, what people like is the convenience. Apple has created an “ecosystem” of devices that, if you are a part of this ecosystem, everything works perfectly in harmony. 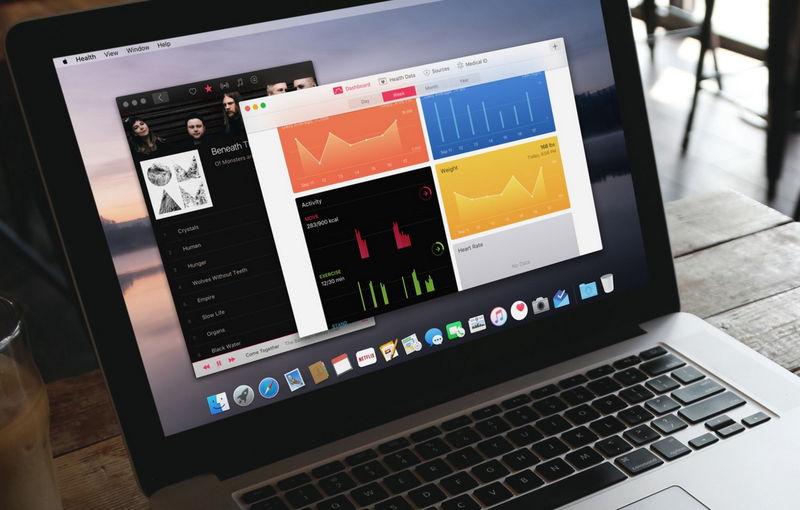 MacOS is very user-friendly and easy to pickup, and if you own an iPhone, an Apple Watch, an iPad, any iOS device, you can connect it to your computer and use it in sync all together. iMessage, Photos, Apple Cloud, are all there to keep your devices connected and make it super easy to swap between. Windows doesn’t have an “ecosystem,” but what it lacks in user-friendliness it makes up for versatility and user power. Windows is good at being customizable. You have a lot more freedom when it comes to making changes. This comes back to the device it’s on. Mac devices have top-of-the-line build quality. They’re constructed beautifully, and are extremely good at what they do, but they come with a high price tag. Their devices are built in a way to discourage user-modification like adding storage/memory, etc. Microsoft laptops range from $150 well into the thousands for gaming machines, where the common MacBooks start near $1000. If you’re looking for gaming, Windows is also the way to go. If you aren’t choosing a desktop, there are many gaming laptops out for sale. Although you won’t find the same performance per dollar, they are laptops and portable. With this, hopefully you have everything you need to buy the perfect laptop for you the next time you need one. This entry was posted in Operating System on April 23, 2018 by alexhuang.